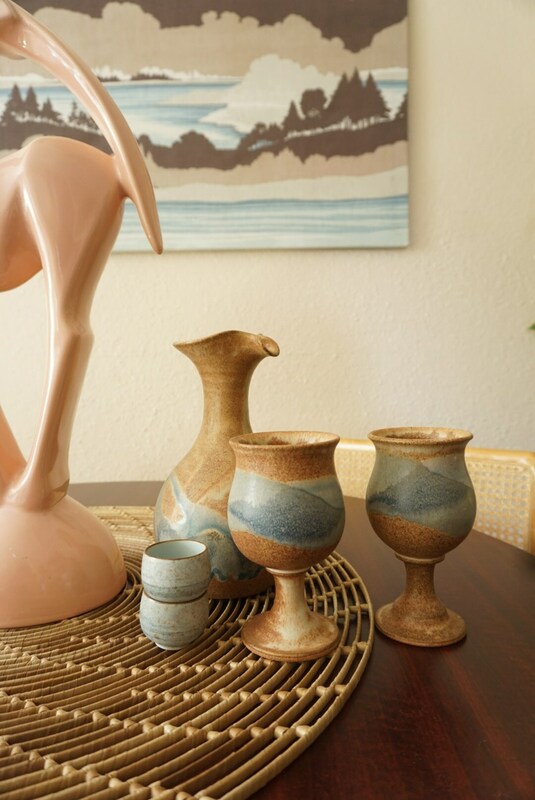 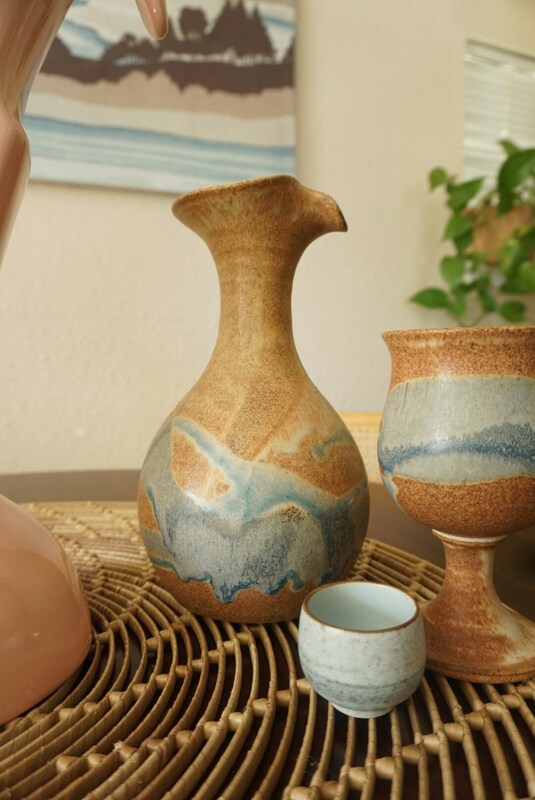 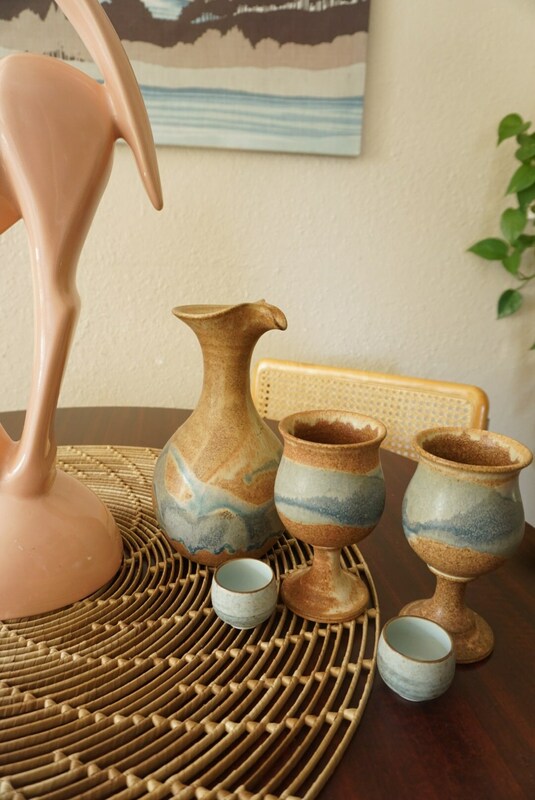 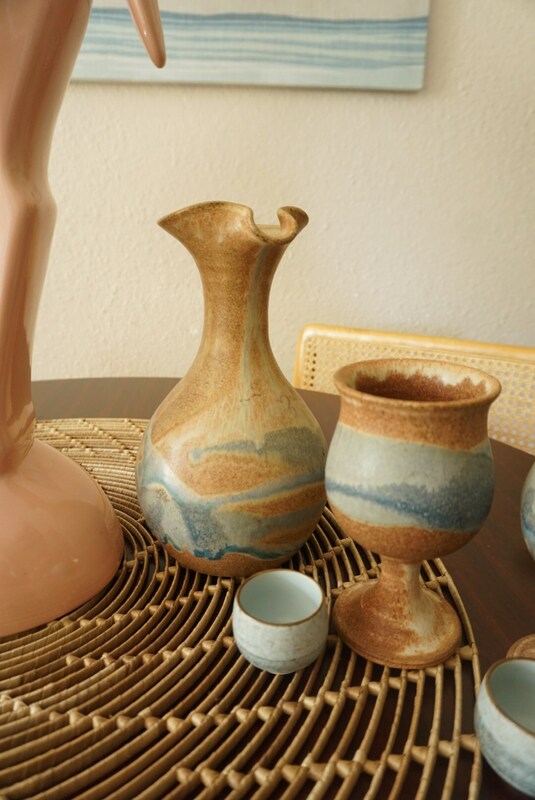 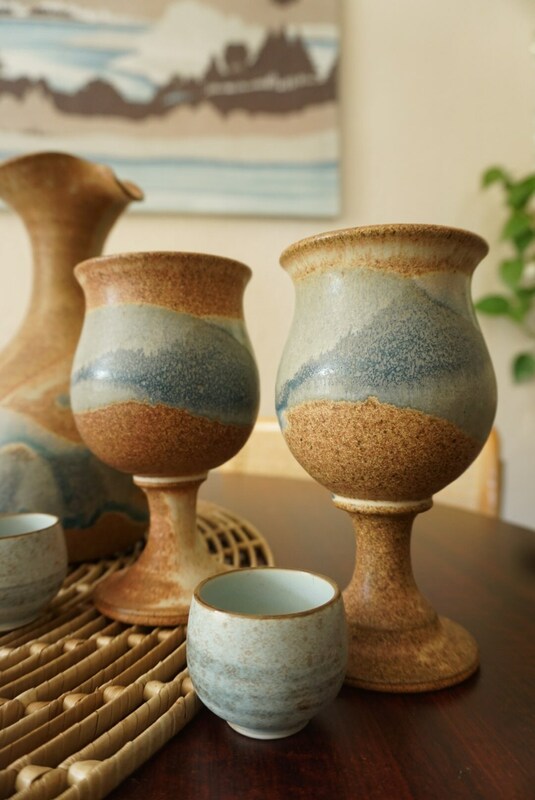 Studio pottery set featuring the most amazing blue and beige colorway. 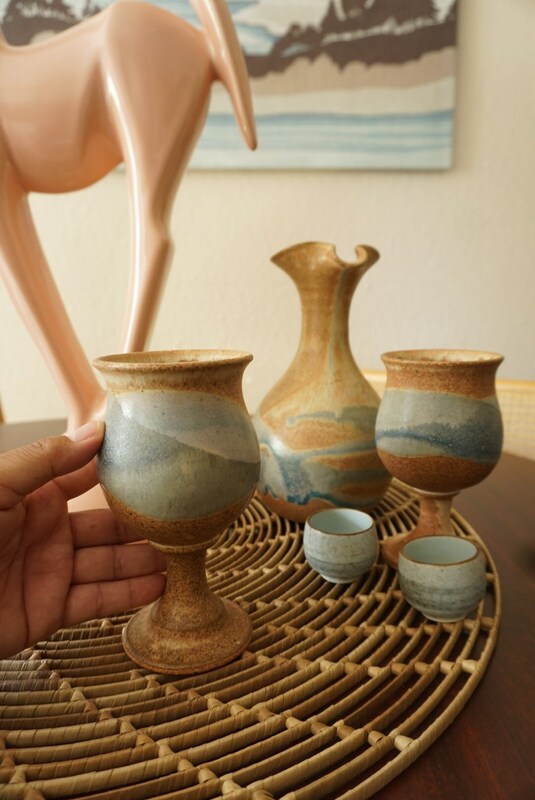 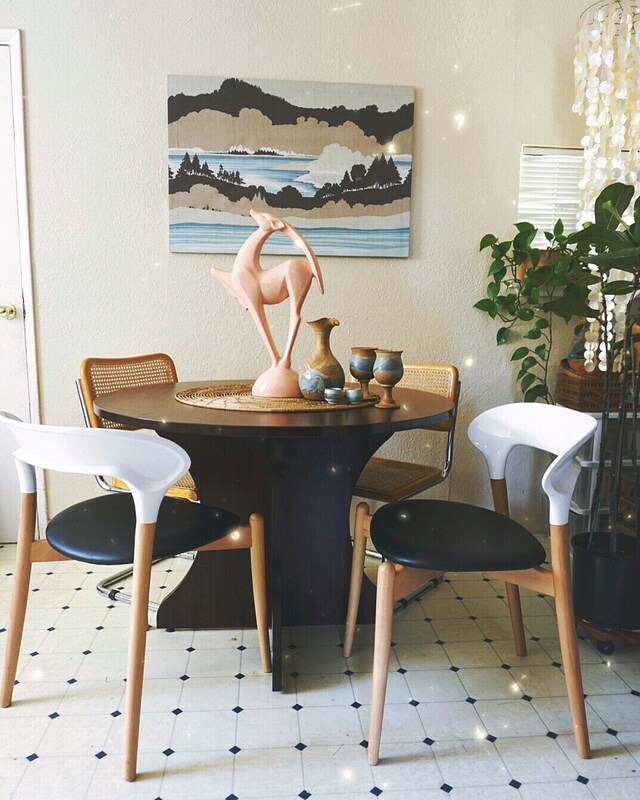 Set comes with tall pitcher, two goblets, and two small cups. 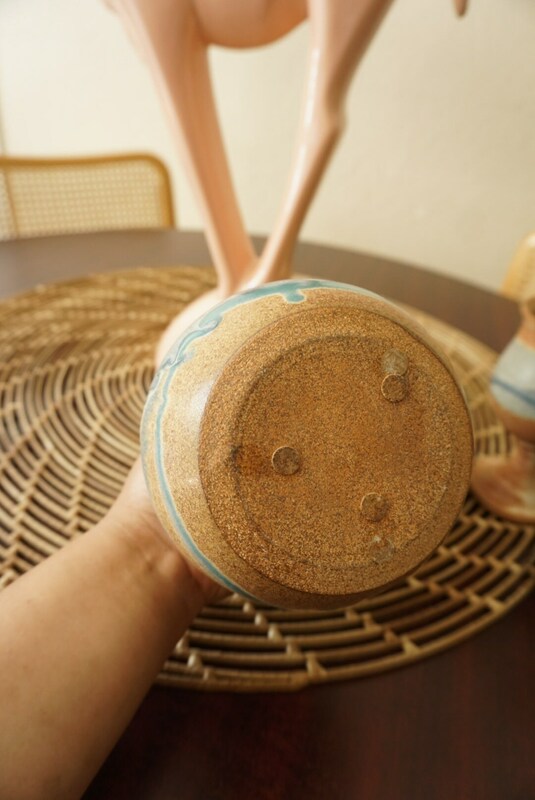 Vintage condition with no major flaws, chips, or cracks.